At first glance, this list looks quite impressive – if we ignore the first 60 years of the last century, that is. There were a number of elephant bulls to be found in Switzerland even before breeding first became successful. However, these were mainly exhibited as curiosities and breeding was largely ignored. In the meantime, several elephant bulls have been successful as studs in Switzerland: “Siam” at Circus KNIE, “Omari” and “Kenny” at Basel Zoo, and especially “Maxie”, the elephant who moved into the newly built elephant bull stable at Zurich Zoo in 1981. Where do these little elephants live today? As beloved as young elephants are by the public, their fate is not always a happy one. In fact, of the 15 baby elephants born alive, only 7 are still living today. Boy lives at Kobe Zoo in Japan. Fahim was released in October 2009 into the Park Bellewaerde Belgium. Panang at Munich Zoo in Germany. This elephant was transferred in 1995 as a precautionary measure to avoid further accidents after her sister Komali had been put to sleep. After 656 days of gestation gave female elephant “Panang” on 21.12.2009 at 1.33 clock to a healthy girl elephant, Jamuna Toni world. Unfortunately Jamuna had on 06.14.2010 because of a mysterious disease that causes very painful shifts in the growth plates of bones, to be euthanized. 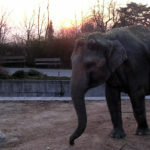 With a flash of birth, the 22-year-old female elephant Panang on Friday, 28 October 2011 at 23.28 clock Hellabrunner the “birth team” surprised. The new member of the herd is at 82 cm and 90 kg compared to Ludwig (95 cm and 116 kg) a delicate, but very healthy girl. What happened to the other young elephants? 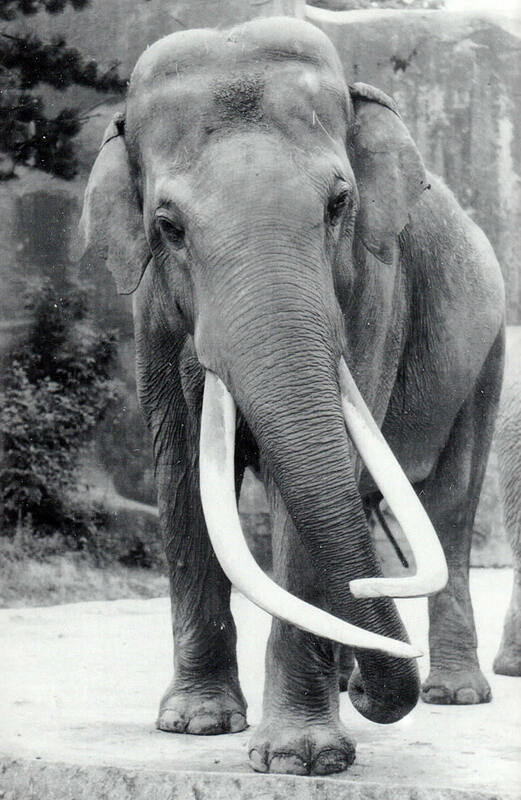 In 1982, Ota was killed at the age of 16 at Basel Zoo due to aggressive behaviour. 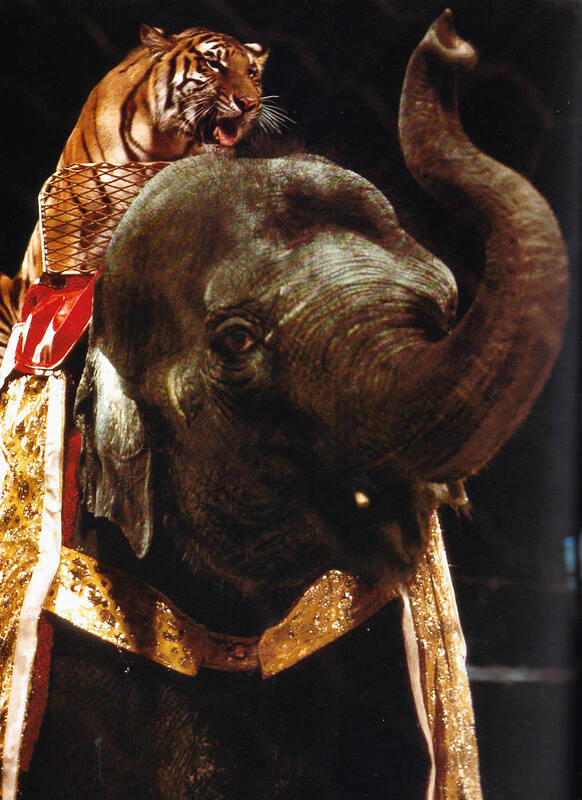 Madura was put down at Circus KNIE in 1984 at the age of 19 due to vicious behaviour. During a rehearsal, she attacked one of her regular animal trainers and injured him fatally. 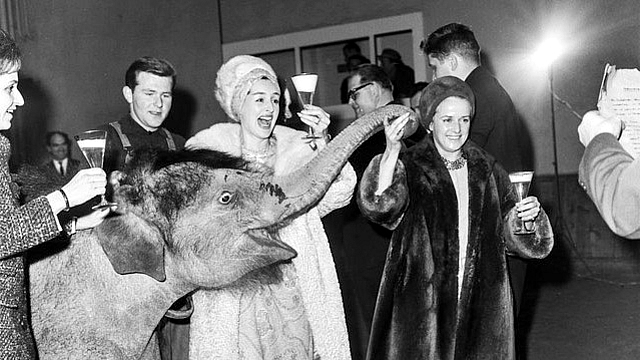 For years, Madura had had the reputation of being a “bad” elephant, although she had always been a good and reliable circus elephant. Among other things, she had performed with tigers in the ring. Lohimi died at the age of three at Circus KNIE after contracting a herpes infection in 1988. Sahib-Fridolin, because of his antisocial behaviour and other behavioural problems, he could not be placed at a zoo. He had never learnt to get along with female elephants and thus was a failure both as a zoo elephant and as a stud bull. In 1984, he was moved to Leipzig Zoo in Germany, in 1988 to Belfast Zoo in Northern Ireland and in 1991, he ended up at the zoo of Cricket St. Thomas in the United Kingdom where he was killed rather unprofessionally in 1994. 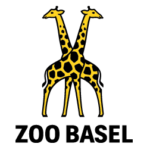 Komali had to be put down at Zurich Zoo in 1995 at the age of 11 because of “vicious behaviour”. Xian was two when he died of a herpes infection at Zurich Zoo in 1999. 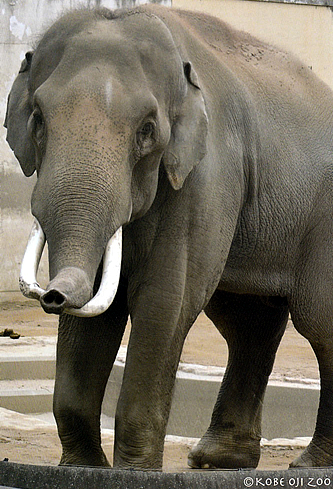 Aishu was 3 1/2 when he died of a herpes infection at Zurich Zoo in 2003. Have there been any still births? Chhukha, although born dead, had otherwise been a healthy, female elephant. She suffocated during birth when the veterinarians misjudged the situation. 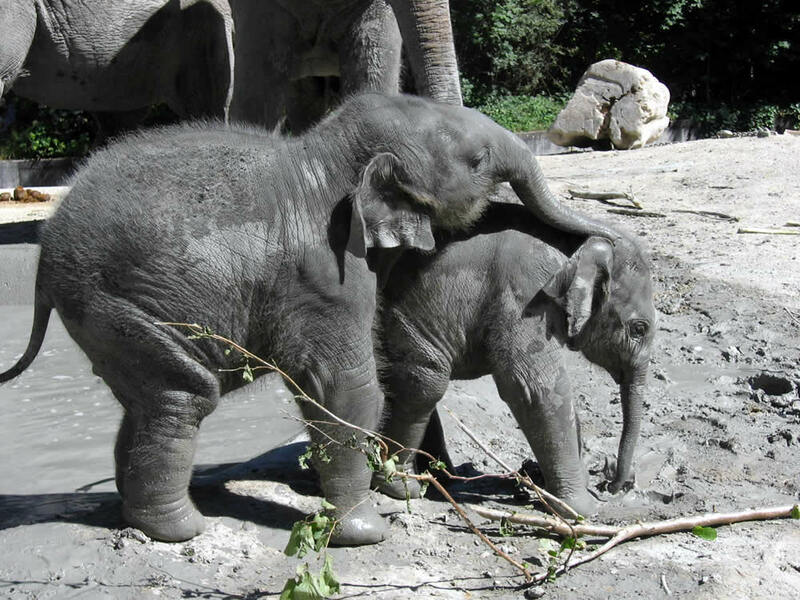 This had only been the second elephant birth at Zurich Zoo and little was known, at that time, about the effects of birth-inducing drugs such as oxytocin on elephant cows. The other still-born elephant, Komali, was an eight months old foetus of approximately 40 cm in length. The still-born elephant, Heri, was her first pregnancy. What are the problems in breeding and raising elephants? The facts listed above are very sobering and, unfortunately, similar figures can be found all over Europe. There is Herpes, the virus infection that has proven fatal in the cases of two young elephants. 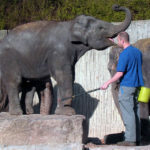 However, the problems which have to be faced most frequently arise from the contact between elephant keepers and pubescent or adolescent elephants. How are young bull elephants kept? For safety reasons, young bulls ought to be transferred to other zoos at an early age. Unfortunately, it is becoming more and more difficult to find good places for them. Zoos which already own a male elephant usually have no more space for a young stud bull. Zoos with enough space and money to house several bulls are very rare. One day there will hopefully be zoos which specialize in the keeping of bull elephants and which will thus help provide a solution for a very big problem. How are young elephant cows kept? Young female elephants usually stay for quite some time in the herd into which they were born. 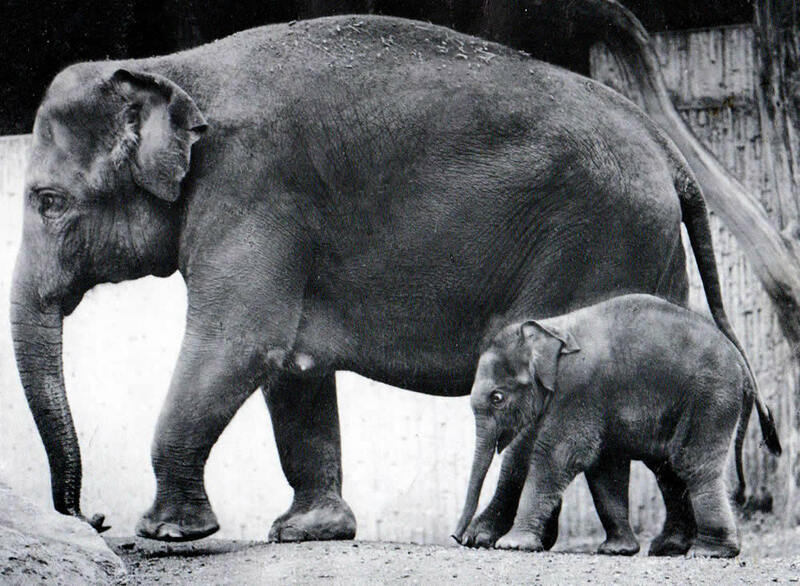 At Zurich Zoo, we used to dream of an adult elephant herd consisting of mothers, grandmothers and aunts. Under the current structural and spatial conditions, this has unfortunately so far not been possible. Why can young elephants become dangerous? Like most mammals living in social groups – including human beings – elephants are career-minded. At one time or another, most elephants want to climb up the hierarchy of their herd, or at least keep the place they have attained. All the elephant keepers who had got to know Komali immediately after birth or at a very young age got along very well with him. Then, several elephant keepers with whom Komali had been very familiar, left the zoo and new animal keepers came to fill the vacancies. Sadly, things did not work out and the situation deteriorated. None of the new animal keepers managed to gain Komali’s trust and accidents became more and more serious. When in an unguarded moment, Komali seriously injured a former elephant keeper, which entered the enclosure unattended , his fate was sealed and he was put to sleep, regrettably, the next morning. Apart from the fact that Komali was spared a painful odyssey from one zoo to the next, his story is an example of the fate which befell so many other “bad elephants”. Today, in the protected contact, Komali would be a good and reliable breeding elephant! It’s disgusting, how people treat Elephants! Especially the one, “performing” with the Tiger. It is stupid, and irresponsible, if people “perform” , with Animals, that could kill them. But putting an Animal, to do unnatural tasks with a natural enemy, makes me sick! In the wild, Tigers, are among the only Animals, to attack an adult Asiatic Elephant! Precisely because of these concerns, modern circuses renounce these shows for several years. Circus such as Ringling Brothers in America or Circus Knie in Switzerland do without the elephants! This is a big step forward for the circuses!